Although photo booth hire is synonymous with fun and entertainment, the most critical part is the management of the photos for your guests, for you and for your guest book. Many fail to achieve any success when managing these time consuming challenges as, quite rightly, they’re busy enjoying the celebrations they’ve spent the previous months organising. Although Guest Books can be challenging, there is a very compelling reason to have one. When done correctly a guest book is, by far, one of the most important items from your event in which you refer back to it for decades after. The power of messages written by family or friends who are no longer here in years to come cannot be understated. The magic of a well managed photo booth is that the experience is entirely managed for you, leaving you to relax and enjoy your event. How does it answer the problems above? If you’ve chosen the right supplier then the photo booth will be one of the most high traffic areas of your event. There should be queues of people both for the booth and the guest book. This is where your photo booth provider should be experienced, polite and professional. You should expect the highest level of service from your supplier to ensure they are not only managing the photo booth, but guiding your guests to complete the guest book in the most appropriate and meaningful way. We often remark that there are always “photo booth addicts” at every event we attend. It’s usually a group of 15 – 20 individuals who become entirely obsessed with the photo booth experience. You and we love their enthusiasm, but how would you feel if your guest book was filled with just these individuals as apposed to the whole party? 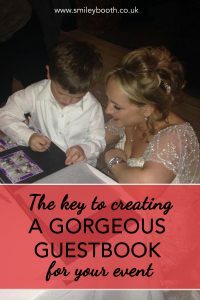 With this in mind, your photo booth supplier should be constantly vigilant as to who has and who hasn’t used the booth alongside who is yet to fill in the guest book. There will be older generations, or perhaps more reserved types ( especially at weddings ), who just don’t understand the photo booth “craze”. However, if you’ve chosen the right photo booth supplier, you’ll find they are there to do a lot more than just hand out prints. 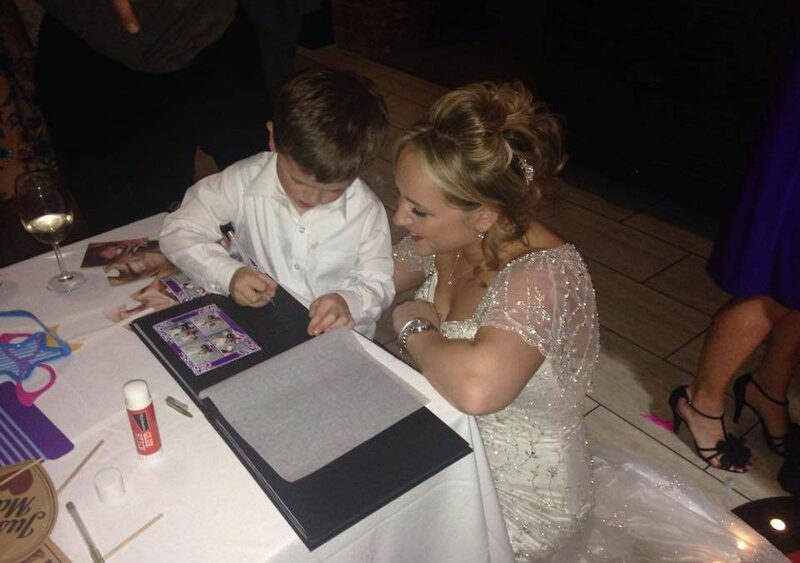 They are there to help those individuals understand that it’s really all about creating wonderful moments for the guest book and ensure your guest book is filled to the brim by the end of the evening with photo’s and messages from all of your guests. If you have a conscientious photo booth supplier who is determined to deliver the best in photo booth hire then the book will not be leaving their sight. Wine glasses and beer bottles will be swiftly removed from the guest books vicinity and any suggestion of damage will be entirely eradicated. This is the beauty of combining guest book and photo booths. After the joy of being handed their prints created from their enthusiastic poses theirs more than enough inspiration to write a heartfelt, humorous message describing how incredible your event is. By now you can probably see that a photo booth at a wedding or party without a guest book is a huge opportunity missed. It is important, however, to ensure that you’ve chosen a supplier that has as much passion about delivering this part of the service as your event deserves. If not, consider the opposite of a great experience, a half filled, damaged and poorly managed guest book that is best placed in a bin. Do they provide a guest book with your photo booth hire and, if so, what do they do?– Let them describe the service they deliver. If you’re receiving a lack of detail or enthusiasm then you’ll receive more of the same at your event and your guest book will be the poorer for it. How many prints will they provide for each guest that uses the booth? – Many people fall foul of this as, during the hire, many suppliers will only provide one print. A catastrophe if you have more than one person in the image and you need one for the guest book. Ensure that your provider will be giving UNLIMITED prints, meaning that if there are 10 guests in the photo all 10 will get a copy and an additional will be printed for the guest book.